If you know of anyone who is on a fixed income and just cannot afford the cost of their pets medical expenses or simply needs a ride to the vet please contact Destiny for Dogs. Any qualified Senior can ask Destiny for Dogs for assistance. 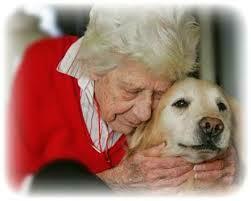 We know the high cost of pet medical bills and know that Seniors are wonderful animal owners. No animal should have to be surrendered solely for financial reasons.